There’s an island in the Pacific where tropical flowers bloom, birds chirp, and deadly sirens sing. It’s an island that charter boat captain, Yoshiko Moto, wishes she could forget. Two years ago, the entire crew of The Orpheus was lost. Visions of their dead bodies haunt her dreams. Now, a research crew has hired her to take them to the island to catch a siren. But she knows no man can resist the creatures’ deadly charms. But the trip leads to more than danger, it leads to love. 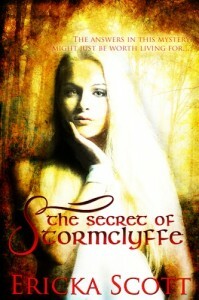 Can she save Nico Eliopoulos from the spell of the sirens? My flirtation with the sea has existed for as long as I can remember. When I was growing up, I wanted to be a marine biologist…the sea called to me and I listened (even though I lived in Illinois!). Unfortunately, by the time I grew up and had the opportunity, I couldn’t afford the tuition to go to the University of Florida. Sigh. Instead, I took a degree in biology at the University of Illinois. Luckily, I did manage to sneak in one marine biology class. Now, I live in the high desert of California, where we are about 2 hours from the mountains and 2 hours from the ocean! We try to go beach camping every year, and last year, I looked out at the sun setting on the horizon and Song of Seduction was born. This entry was posted on Sunday, March 8th, 2009 at 2:38 pm in Uncategorized. You can feed this entry. Responses are currently closed, but you can trackback from your own site.